Our latest project is a 6,000sqft new home in Cobham, Surrey. Two storeys, an extended ground floor and a full plan basement provide plenty of space, while a traditional façade means that – despite the size – the house won’t stick out. The interior will be far less modest. Our clients want double height spaces to create views from one floor to the next which – when combined with generous open plan layouts – will create an undeniable “wow” factor. This secret luxury continues into the rear of the home, where a glass-walled indoor swimming pool connects to the main house and a combined stairwell/lightwell provides direct access from the basement to the garden. As there are new homes of a similar size nearby, we are confident that we will be able to continue our 95% planning success streak with an approval from Elmbridge Borough Council. We hope to share news of our planning success with you soon. 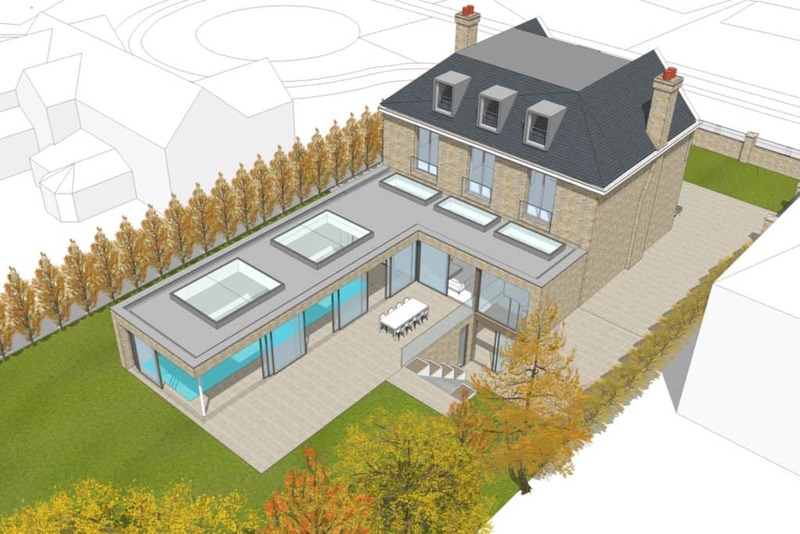 In the mean time, you can click here to view our latest planning victories.